The 2017 festival, titled The Common Good, is at Boughton House, Northamptonshire from 25-28 August, and promises four days of music, arts, activism, ideas, faith and spirituality. 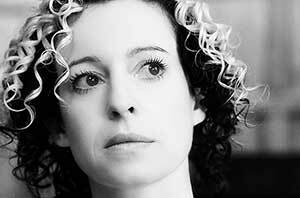 With folk star Kate Rusby in her 25th year in the music industry, are innovative solo singer-songwriter Newton Faulkner, British blues rock guitarist Joanne Shaw Taylor, ska-funk-dub-afrobeat-party-bringers King Porter Stomp, south London rapper Speech Debelle, and beatbox legend SK Shlomo. Lee Bains III and The Glory Fires bring rock ‘n’ roll from Alabama, folk singer Will Varley appears after opening for Frank Turner, winner of the Bob Harris Emerging Artist award Wildwood Kin will be there, and there is emerging young talent from the likes of CC Smugglers, Hardwicke Circus, Goan Dogs, Lazy Habits, The Goat Roper Rodeo Band, Remedy, and Sleep Talking. In addition, The Sacred Sounds Women’s Choir, will be bringing Manchester women from different faith and cultural traditions together to sing. Find out more on these acts here. Speakers include founder and director of Reprieve Clive Stafford Smith; Ann Pettifor, who led a campaign that resulted in over $100bn of debt owed by the poorest countries to be cancelled; journalist and broadcaster Peter Oborne; Christena Cleveland, social psychologist, theologian, author and Associate Professor of the Practice of Reconciliation at Duke University’s Divinity School, USA; Sarah Corbett of the Craftivist Collective; former Green Party leader Natalie Bennett; Benedictine Nun and physician Teresa Forcades I Vila and Dr Winston Halappua, Archbishop of Polynesia. More on these thinkers, writers and activists here. Among those appearing are renowned British poet Michael Symmons Roberts, Palestinian feminist writer Khulud Khamis, and young Nigerian author Chibundu Onuzo. More info here. Works to be performed include the beautiful Paradise Lost by Lost Dog Dance, alternative takes on the legacy of World War 1 with Raising Lazarus by Kat Francois and This Evil Thing by Michael Mears, outdoor circus with Anyday by Max Calaf Seve, the captivating SEED by Pif Paf and the moving Lucy, Lucy & Lucy Barfield by Lucy Grace. Find out more here.